Above: Two photographs taken at the panygiri of Agios Haralambos. 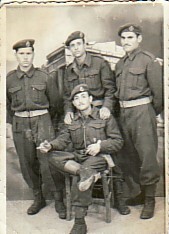 In the right photograph, Dimitrios is in the middle. 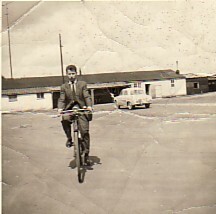 Circa late 1940's. 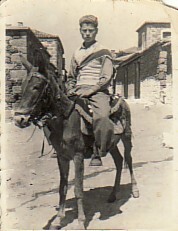 Above: During National Service. 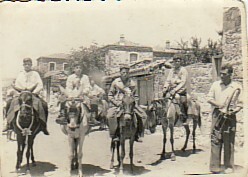 Dimitrios is standing first from the left. Above Right: Migration. 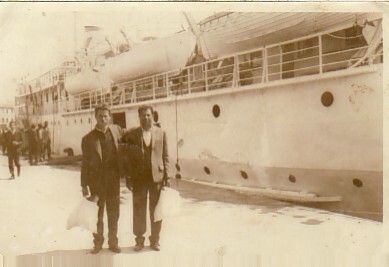 First stop was Italy, where he Dimitrios would catch a train to Belguim. Dimitrios is on the left. Above: At a panygiri. 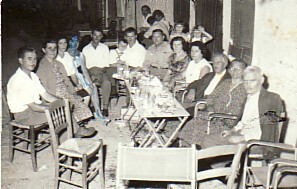 L-R: his brother-in-law, Stylianos; his sister-in-law, Georgia; Stylianos' wife, Efstratia; unknown; his brother-in-law, Anestis; himself- holding their son, Efstratios; Panagiotis Poulioglou and his wife; his wife, Panagiota; his in-laws, Nikolaos and Marigo; and his father, Spyridonas. Above Right: Riding a bike in Belgium. 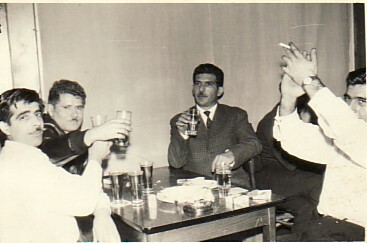 Above: Out with friends; Dimitrios is second from the left. 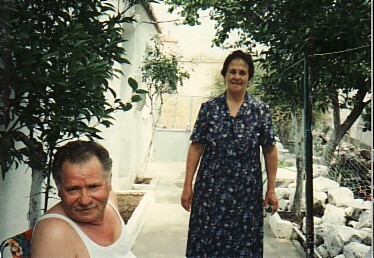 Above: With his wife, Panagiota.